I am a huge meal kit fan! I have been using meal kit services for years. It’s a great way to enhance your cooking & dining experiences, for usually less than $10 per serving. 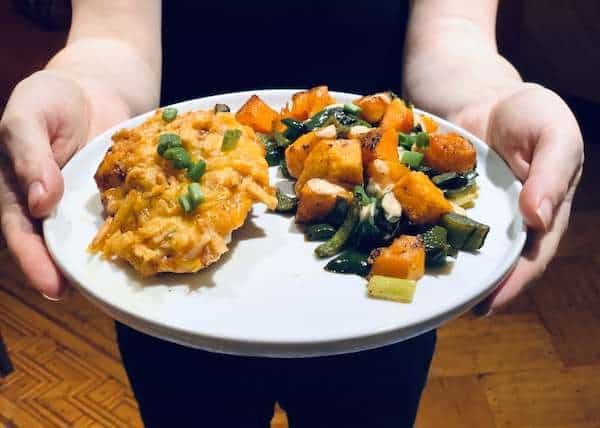 It’s a major time save at the kitchen for a working mom like myself, so if you enjoy cooking and eating delicious food at home, but haven’t tried a meal kit service yet, you are missing out! 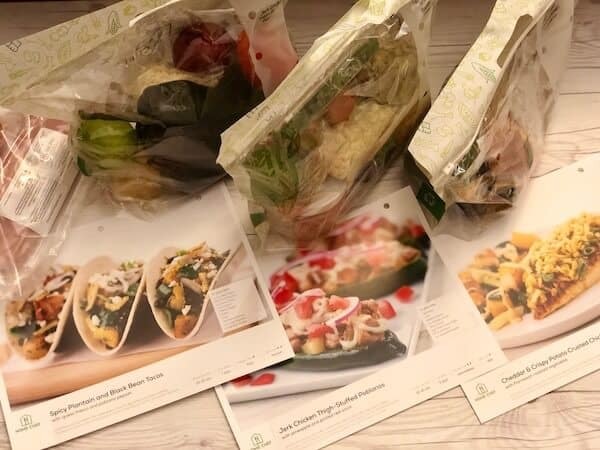 With as many as dozen meal kit companies out there, it can be tricky knowing where to start… and this is where the Meal Kit Review comes in handy! Today I will be sharing with you all the details of my latest amazing experience with Home Chef. 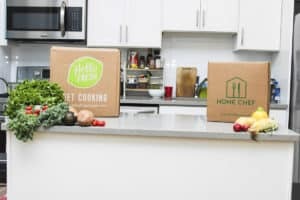 Home Chef, now part of Kroger, has been around since 2013 and has been one of my favorite meal kit companies since I entered the mealkit space. 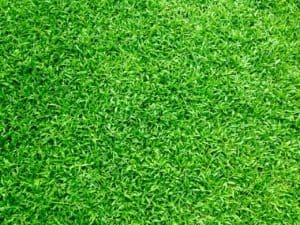 Home Chef is focused on fast and very easy to follow recipes. Their portion sizes are usually quite generous and the quality of the ingredients is very good. Their meals taste fantastic! I have tasted many meals from the Home Chef menu and was super pleased every time! The meals are usually classic or traditional but always include an interesting flavor twist. The price is more than fair, and Home Chef offers great value for money. Home Chef has one of the best recipe selections in the industry, offering a 16 meal menu every week. Three of these are 5-minute lunch options with no cooking required. And now, with their new “Customize It” feature, you can also swap proteins, upgrade to a higher quality cut of meat or even double the amount of protein in many of their meals. Amazing! The subscription is very flexible, allowing you to choose the preferred amount of servings per meal. You can also mix and match between the different types of meals (vegetarian, low calories and more). In my Home Chef delivery, I chose these three dishes from the menu: Cheddar & Crispy Potato Crusted Chicken, Jerk Chicken Thigh Stuffed Poblanos and Spicy Plantain and Black Bean Tacos. Their signup process for new customers is quite easy. As a side not, the registration process requires you to add your payment method prior to choosing the dishes but not to worry – the selection is so huge and diverse that anyone can find something they like. Also, you can explore next week’s menu in the “our menu” tab on the Home Chef website. The first thing I always notice in the Home Chef box is how organized the contents of the box is. All the ingredients are packed and labeled separately for each dish, which makes the unpacking quick and easy. The first dish I cooked for my husband, and I was the vegetarian Spicy Plantain and Black Bean Taco. It tasted so good, and the portion was so generous! 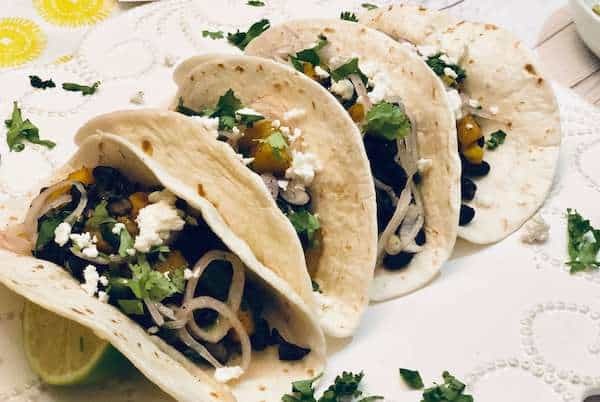 The combination of all ingredients – the sweet plantains and black beans with the Fajita seasoning, the zest from the pickled red onion, and the cheese and crispy Jalapenos to top it all – perfection! We literally licked our fingers! 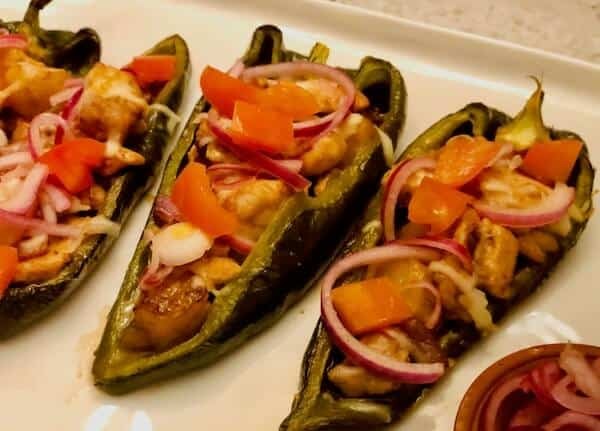 The next evening, we tried the Jerk Chicken Thigh Stuffed Poblanos. I was pleased with the beautiful poblano peppers I received; they were large and beautiful. (Personally, I love the poblanos a bit crispy, so I roasted them in the oven for only 5 minutes). This meal looked a bit sophisticated to prepare, but it was turned up to be much easier than expected and was very delicious. We particularly loved the sweet twist with the pineapple chunks as part of the stuffing. I was also really pleased when I noticed this meal had only 483 calories per serving (whoot whoot- Pre labor jeans- here I come), and it was a quite generous serving! The last meal of my Home Chef experience was the Cheddar & Crispy Potato Crusted Chicken. This was quite a traditional meal. It was tasty and had a nice twist of crunchiness in the chicken crust that came from the potato sticks. The side dish of grilled butternut squash, poblanos and green onion with some grated parmesan was also satisfying and very tasty. Overall a very good dinner. 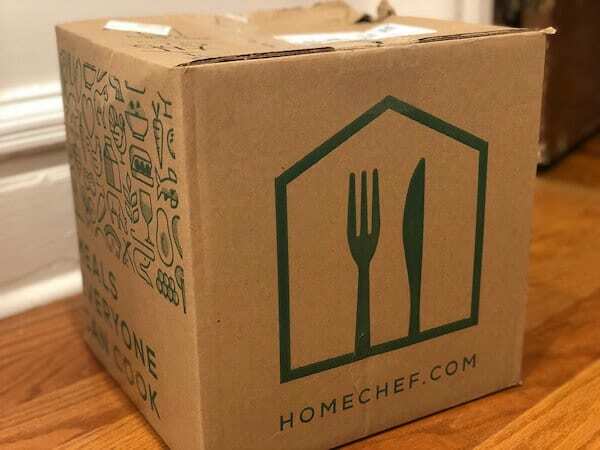 Yet again, I had another amazing experience with Home Chef! 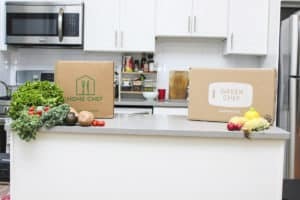 This company constantly delivers one of the best meal kit experience. It starts with the huge selection of 16 meals to choose from every week and continues with the innovative “Customize It” feature. We loved the organization of the box and of course, most importantly, the delicious meals I got to cook and eat in the comfort of my home! If you enjoy eating and cooking —I honestly recommend giving Home Chef a try. 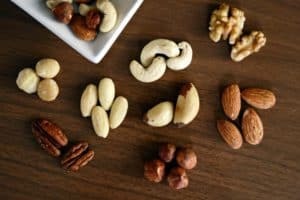 It will diversify and upscale your home cooking experience, and you will save plenty of time by not planning your meals or doing any grocery shopping . 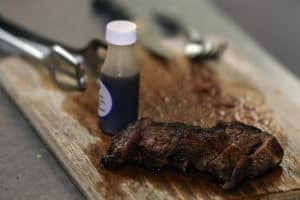 We asked Home Chef to give a special discount for our readers, and were able to get a super attractive beginners’ promotion for TheMealKitReview.com readers. Use our link and get a total of $80 off for your first four weeks with Home Chef. That’s $20 off your first 4 meals.